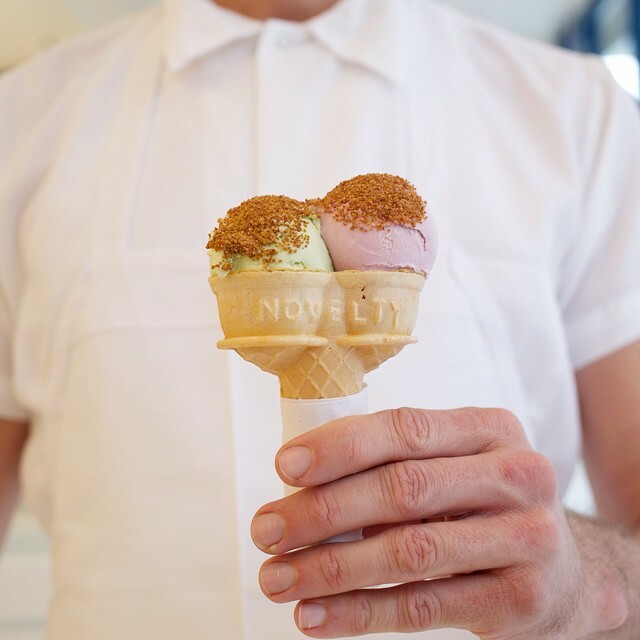 We’d be hard pressed to think of a buzzier scoop in New York than the ones served at Nick Morgenstern’s eponymous ice cream parlor. At once nostalgic and modern, the small shop focuses not on reinventing the frozen classic but perfecting it, limiting butterfat and sugar and eliminating additives for an intensely silky, creamy confection. Flavors are generally straightforward—five types of each vanilla and chocolate are on the menu—but too concentrated to ever be considered simple. For more adventurous creations, sample Morgenstern’s collaborations with chefs like Ivan Ramen’s Ivan Orkin and Estela’s Ignacio Mattos.